LIMEX can become paper alternative products. LIMEX sheets can save water and forests, and is highly functional – it is waterproof, it has strong tear resistance and durability. LIMEX can be used for various applications, such as business cards, menus, posters, booklets, and alternatives to various laminated paper products. Worldwide consumption of paper is forecasted to double by 2030. Replacing a part of the paper consumption with paper alternative products made from LIMEX, which can be manufactured without using trees or contaminating water, will contribute to protecting the Earth’s environment. 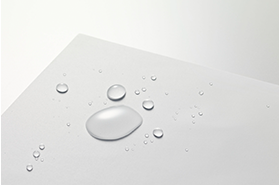 LIMEX paper alternatives can drastically reduce the usage of water in comparison to coated printing paper. Furthermore, it does not use any wood pulp, which is required as raw material for manufacturing paper. It is possible to manufacture paper alternatives with approx. 0.6t ~ 0.8t of limestone and approx. 0.2t ~ 0.4t polyolefin (polypropylene, etc.). 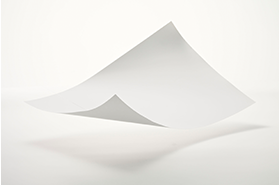 No special printing machines are required to print on LIMEX sheets. UV offset printers, UV inkjet printers, latex inkjet printers and production printing machines can be used. Due to its high water resistance, LIMEX sheet can be used in the bathroom, other wet areas, outdoors and under water. It is also possible to write on LIMEX sheet in water. 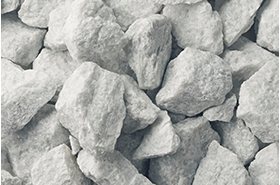 As LIMEX is made from limestone, which does not degrade through recycling, it is easier to material recycle.